With recent news on the number of international students in Australia reaching a new high and the 19.4 billion-dollar revenue student fees generate for the Australian economy, these students’ experience in Australia has become an important issue. Two different points of view can be distinguished: while one perspective sees international students as enriching Australian society through their diversity, another one frames them as problematic Other. Their imputed low English language proficiency is often seen as the root cause of the latter. While there have been attempts at representing international students in the media through the first perspective, I argue below that these attempts can only work if language proficiency is addressed in a constructive way, that goes?beyond the monolingual mindset. In their study, Paltridge, Mayson and Schappler (2014) analysed news articles covering international students from The Australian newspaper published between 2009 and 2011. The researchers found that media discourses result in the dual phenomenon of ‘welcome and exclusion […] by constructing them as “economic units” wanted and welcomed by the nation, as well as unwanted “exploiters of the immigration system” and excluded “victims” of violence and racism’ (p. 108). These media articles obviously frame students as a problematic out-group. 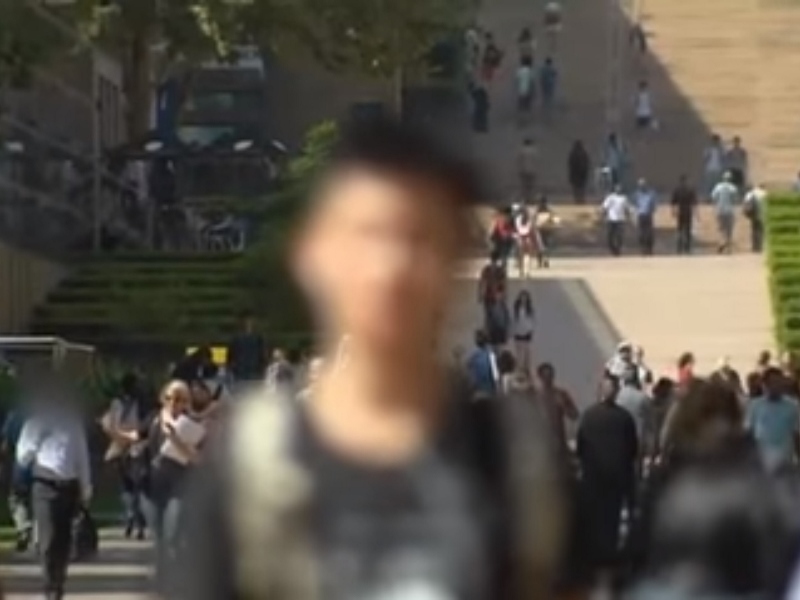 The issue of English language proficiency also featured strongly in an episode of an ABC program, 4 Corners, entitled ‘Degrees of deception’ in April 2015, which focused on declining academic standards. According to the introduction, declining academic standards were evident in the rising ‘tide of academic misconduct’ and the pressure for academics to pass weak students (so-called ‘soft marking’). According to the report, these are due to the combined effect of a decline in government funding for universities and the increasing reliance on international student fees. International students, so the show’s claim, are ‘desperate for a degree from an Australian university and the possibility of a job and permanent residency’. Consequently, entry requirements have supposedly been lowered and cheating and plagiarism have become widespread. The episode claims that academics are appalled but are afraid to speak up for fear of their jobs. After airing the episode, the 4 Corners team stressed on their Facebook and Twitter accounts that the episode was not about ‘international students being worse than other students’. However, a corpus linguistic analysis of the episode transcript reveals that the the most frequent content words on the show – ‘student’ and ‘students’ – usually refer to ‘international students’. This group was referred to 88% of the time when using the word ‘student’; by contrast, local students are referenced in only 7% of occurrences. Moreover, the word ‘student’ most commonly collocates with or appears close to words with negative connotations, like ‘exploited’, ‘weak/weaker’, ‘targeting’, or?‘struggling’. Secondly, the vast majority of social media comments on Facebook related to the show?discussed international students as inadequate on the basis of some form of low English language competence. Using Van Leeuwen’s (1996) social actor framework, I have also found that international students as social actors are often abstracted behind concepts such as ‘fall in standards’, ‘poor English’, ‘pressure on the system’, ‘plagiarism’ and ‘income’. The analysis shows that the 4 Corners episode did in fact imply that international students are worse than others; their low English language proficiency is constructed as the root cause of this problem. What is more, the fact that the findings of Paltridge et al. (2014) focusing on a conservative newspaper, The Australian, are echoed in a data set coming from a more liberal media outlet and its supposedly more liberal audience, suggests that this stereotyping of international students is widespread in Australia. The Othering of international students on the basis of language proficiency needs to be addressed. One way to do so is by reflectively engaging with linguistic diversity through addressing the monolingual mindset prevalent in Australia, which makes it difficult to move beyond defining international students as the perpetual Other in the ‘white Anglo space’ of the Australian university. Grace Chu-Lin Chang, What is “Competent English”? If you liked this post, don’t forget to vote for Language on the Move?in the 2017 Language Lovers blogging competition over at the ba.bla voting page! Voting closes on June 06. Van Leeuwen, T. (1996). The representation of social actors. In C. R. Caldas-Coulthard & M. Couthard (Eds. ), Texts and practices: readings in critical discourse analysis. London, New York: Routledge. Does a language have to be European to be ‘modern’? Agnes is a PhD candidate in the Department of Linguistics, Macquarie University, where she also works as a Lecturer in the Graduate Certificate of TESOL program. Her background is in teacher training and teaching English as a second language. Her research interests are in language education and language policy, language testing, teacher training, and TESOL. Hello. Bodis. I think the problem you pointed out in the post do exist in Australia. Despite the low language proficiency, plagiarism is also a serious issue from my point of view. plagiarism, particularly ghost-writing is far more serious then what can be seen from status. Advertisement of “assignment assist” has been widespread among campus and social media; and I know at least 2/10 of my friends are using these “services”. instead of providing guidance, they give the customer a complete assignment and get their commission. In comparison with post and paste assignment, this plagiarism are harder to be detected. A lot of international students have language barrier as one of their biggest obstacles in studying overseas. As an international student myself, I can say that having difficulties in language is certainly affecting the academic success for we have to struggle more in order to fully comprehend lectures and to fully express our thoughts to others. However, other than language, culture also has huge impact for the academic success as students from different background have different learning styles. These different learning styles are sometimes not compatible with the learning styles conducted in Australia and thus creating problem with academic issues. Despite being taught in English language from the first grade of the school to rest of the life a non- native speakers have to substantiate his ability to understand and use English language to meet the requirement of a university or a country. Certificates from the colleges and university are not quite enough to prove their language proficiency. Even the highest degrees like masters or PhD in English studies or any English language related subjects do not meet this criteria. International students from a country where English is not their first language are most often generalized as there exists a pre-occupied mind set about them. Demonstrating the capacity in the beginning to secure your seat is not an end it rather starts there. Visiting abroad for further studies will no longer be an attraction among the students if the degree is not recognized in that country itself. As Australia has become one of the top destinations for the international students for the attainment of higher education, it is now time to rethink about the conventional prospect of an international student. Thank you, Rose! As you say, there are all sorts of other things, apart from language proficiency, that can be challenging for international students: culture shock, a completely new academic system, increased need for learner autonomy, emotional issues, housing issues etc. So questioning the validity of IELTS overall and blaming some students’ low performance in writing on an international language test (which goes through rigorous processes of validation, standardization, pre-testing etc – I’m not sure how familiar you are with language testing as a field) does not help solve the problem, I’m afraid. The underlying problem is the monolingual bias: seeing L2 speakers of English as problematic and expecting them to all of a sudden behave like any ‘local’ student does (as if they were a homogenous group with some superior qualities – this is also part of my findings). So yes, learners need to take ownership of their learning, as you say, but eventually, and they should not be expected to do so from Day 1. Hi Rose and Agnes, I agree with you that language and content learning in tandem is not always easy, and overseas students could not perform in the same way as their local peers because of their own identities. I think “soft marking” could demotivate those students who actually aim to be enlightened, to challenge themselves to achieve higher levels of acamedia rather than “to be passed”. Language proficiency could be one of the explanatory factors. However, the point that IELTS scores could not act as a predictor for international students’ academic achievement (Dooey & Oliver, 2002). Or recently a native speaker failed in speaking component of Pearson Test of English (PTE) Academic (The Guardian, 2017). This raise a concern of the validity of these high-stake tests. Although Yen and Kuzma (2009) found that low Listening and Writing scores might result poor academic performance, they also suggested that taking IELTS as an academic predictor is not sufficient. As a result non-linguistic factors should be taken into consideration for poor results among international students. Dooey, P., & Oliver, R. (2002). An investigation into the predictive validity of the IELTS Test as an indicator of future academic success. Yen, D., & Kuzma, J. (2009). Higher IELTS score, higher academic performance? The validity of IELTS in predicting the academic performance of Chinese students. Worcester Journal of Learning and Teaching, (3), 1-7. Thanks, and I agree regarding the validity of IELTS as a predictor of performance at university simply because, as both of us say, there are so many other factors than language that influence performance. And also because there are so many written, oral and mixed genres required by students to master depending on their disciplines and subjects that a simple essay writing task or answering comprehension questions are just too simple to measure that. Also a language test doesn’t measure discipline content knowledge. 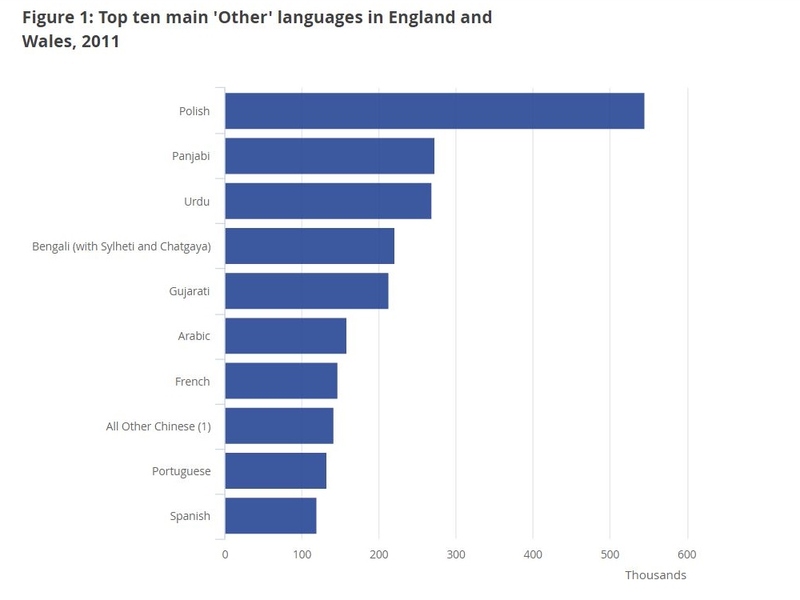 The PTE case is a different issue though: problems with the recognition of an accent brings into question how accents are chosen to be acceptable or standard in the given test and language testing in general. I think this article points out an important issue in Australia. Generally, a certificate is given to those who achieve the enough educational standards. And it guarantees its holder’s capability. Considering a university degree is a kind of a certificate, the degree indicates an alumnus’ ability. Thus, if a person holds an Australian university’s degree, the person is expected to have high English proficiency. So, as long as a university offers a student with a low English proficiency, it will undermine the authority of a university in Australia. At the same time, it will fix Australians’ stereotype of international students as the students with poor English. I also saw the 4 Corners episode and found the implication that it was the international students who were eroding the quality of Australia’s tertiary education quite disturbing. The suggestion that the once high standards of our universities have been significantly diminished by the influx of international students reinforces the underlying racism many Anglo-Saxon Australians feel toward non-whites. In this case it is not religious prejudice, but language-based and so the discrimination is re-framed as one of lacking competence. 4 Corners highlighted this by exemplifying a nurse whose poor language ability resulted in the wrong administering of medicine and claimed such occurrences were evidence of the falling standards of university education. Not only was it a gross generalisation, ignoring what I’m sure are dozens of other examples of incompetence from nurses who do speak English fluently, but it did nothing to balance out the story with positive references to international students who make incredibly valuable contributions to Australian society. Instead we were left with a stereotype that medical practitioners whose native language is not English should not be trusted. Australia needs to redefine itself as to what exactly constitutes being Australian if it is to remain a country that remains a significant contributor to the rest of the “global village” and as suggested by the author, an expanded definition of linguistic competence would be an excellent starting point. Thank you for the comment, Michael! My post doesn’t mention here but social media comments in my data set mention accent as an issue as well e.g. foreign nurses cannot pronounce this and that properly or cannot understand a word because the patient speaks with an Australian accent. Language competency can quite often be misjudged because of accent – mostly judged as lower because of not sounding ‘native’. So this becomes another ‘layer’ of deeming L2 speakers of English as dangerous/incompetent: however high your proficiency is, you sound foreign. It’s interesting that you mention the need to define ‘Australianness’, especially with the tendency to call all sorts of behaviour ‘un-Australian’ in political debates.